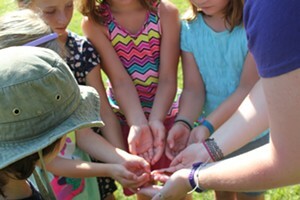 The Art Of... School Year Food Prep | The Art Of | Kids VT - small people, big ideas! In the summer, my family gets pretty lax about cooking. From wanting to avoid the stove on hot days to the many opportunities to eat locally sourced tacos and burgers al fresco, there are plenty of reasons to skip home-cooked meals. When the school year begins, it's hard to hop back into the kitchen. Early morning breakfasts, packed lunches and quick weekday dinners can feel like insurmountable challenges. 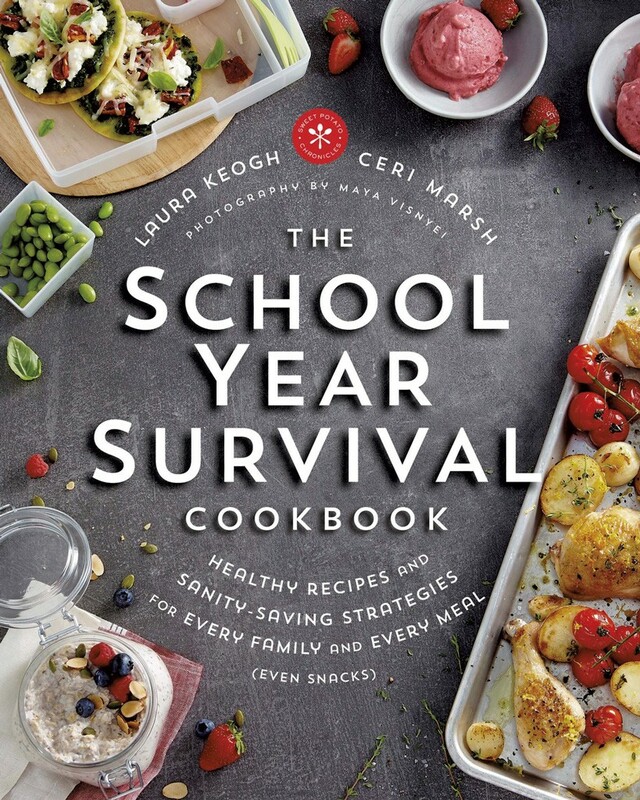 So my interest was piqued when a press release for The School Year Survival Cookbook, coming out this month from Random House imprint Appetite, landed in my inbox. The book's subhead — Healthy Recipes and Sanity-Saving Strategies for Every Family and Every Meal (Even Snacks) — described exactly what I needed. The guide, written in a relatable, humorous style by Toronto-based journalists/moms Laura Keogh and Ceri Marsh, is a collection of recipes peppered with tips for managing meals, like setting up an efficient pantry and repurposing dinner leftovers. I liked how the recipes were broken down into four digestible categories: breakfast, lunch, dinner, and snacks and treats. But as I thumbed through the book, highlighter in hand, anxiety crept in when I read about labeling glass containers of dry goods with waterproof labels. What are waterproof labels? And where do I get them? I thought, my grip on the pen tightening. Flipping through the recipes, I felt a bit skeptical. Salmon with a basil and sun-dried tomato crust? My kids don't like fish! At that point, I slowly backed away from the book to regroup. A couple of days later, I returned with a different mindset: Some things wouldn't work for my family, but I'd look for ones that might. The first thing I did was tackle my pantry. Keogh and Marsh recommend doing a thorough cleanout of cabinets, fridge and freezer before the school year gets under way. They instruct readers to take everything out, wipe down surfaces with soapy water, and get rid of items that fit into three categories: 1) Things you don't use regularly. 2) Things older than a year. 3) Things you don't recognize. I found plenty of goods to ditch, from ancient sunflower butter and quinoa to a case of single-serve microwave lentils from Costco. As much as I dreaded it, the pantry purge was liberating — and only took a few hours. With my improved attitude, I discovered more practical ideas I look forward to using (see below). And the book inspired me to try new recipes, with my 10-year-old daughter, Mira, as my sous-chef. We made four items — chocolate avocado chia pudding, broccoli and cheese patties, Hawaiian pizza muffins, and lemon ricotta cookies — over the course of a couple of days. With the exception of the pudding (I liked it, but Mira had a hard time with the color and texture), the recipes were big hits. They also pushed us to try new ingredients, like spelt flour, and interesting combinations, like pineapple, basil and ham. More importantly, laughing, chatting and cooking with Mira was a much-needed reminder that meal prep can be more than just getting food on the table or in the lunchbox. Sometimes, it's actually fun. Plan ahead. The authors recommend sketching out a meal plan for the week (guidance is provided, if you're a meal-planning novice like me), setting aside two hours a week for meal prep, and cooking and refrigerating or freezing two to three of those recipes before the week begins. Get creative. I often feel like I'm always making the same thing for my kids (cheese sandwich, I'm looking at you). 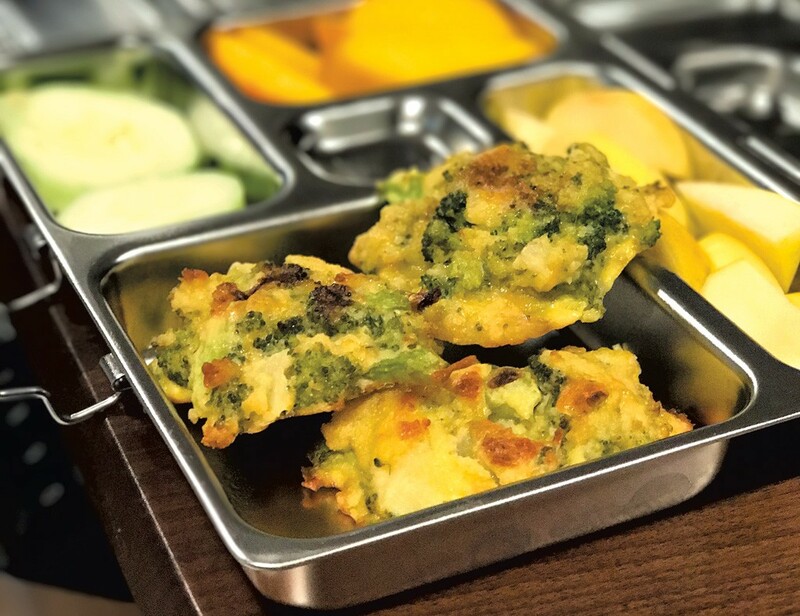 Clever ideas, like serving yogurt-fruit popsicles for breakfast or turning pizza ingredients into packable muffins, got me thinking about presenting food in different ways to make it more appealing. Embrace leftovers. The dinner recipes were all created with the idea that they'd be good in a kid's lunchbox the following day. Keogh and Marsh also share recipes they call "Transformers," which can be turned into different meals later in the week (e.g., spicy beef becomes tacos, enchiladas or stuffed peppers). They also suggest incorporating leftover proteins and veggies into frittatas, grain bowls, quesadillas and savory bread pudding for quick and healthy meals.